Brooklyn Botanic Garden's extensive bonsai collection is one of the finest in the world. The collection of approximately 350 trees is the second oldest in the country and one of the largest on public display outside Japan, with as many as 30 specimens on exhibit at any given time. Cold-temperate trees form the core of the collection, but tropical, subtropical, Mediterranean, and warm-temperate species are also represented. The C.V. Starr Bonsai Museum was renovated in 2005 to include a stylized verandah complete with a tokonoma, or alcove, that looks out onto the entire exhibit. Text panels introduce the history of bonsai and explain the plants' culture and care. 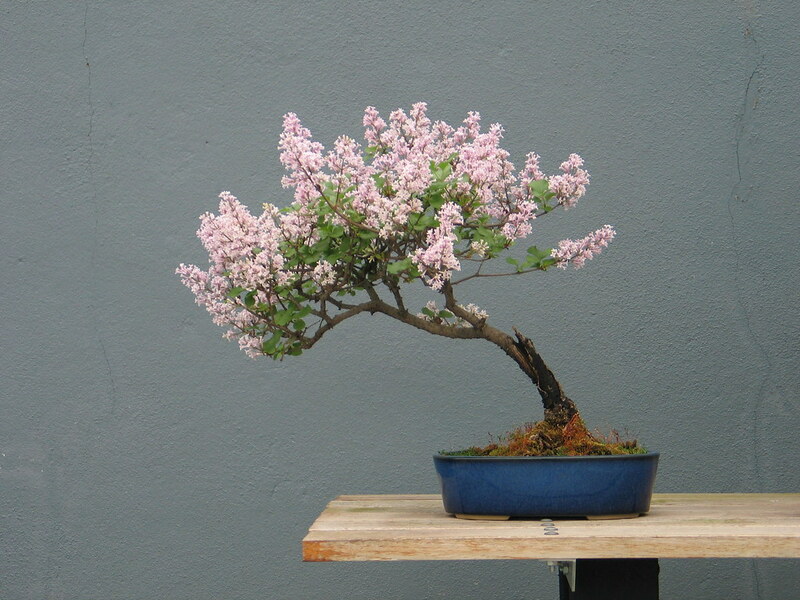 Be sure to check out the C.V. Starr Bonsai Museum during the cherry blossom season (April–May) and the Garden's famed Sakura Matsuri. The C.V. Starr Bonsai Museum holds a world-class collection of over 350 bonsai and is home to the oldest trees in BBG. Highlights include the wisterias, which flower in the spring; others include lilacs, azaleas, flowering cherry, and quince. 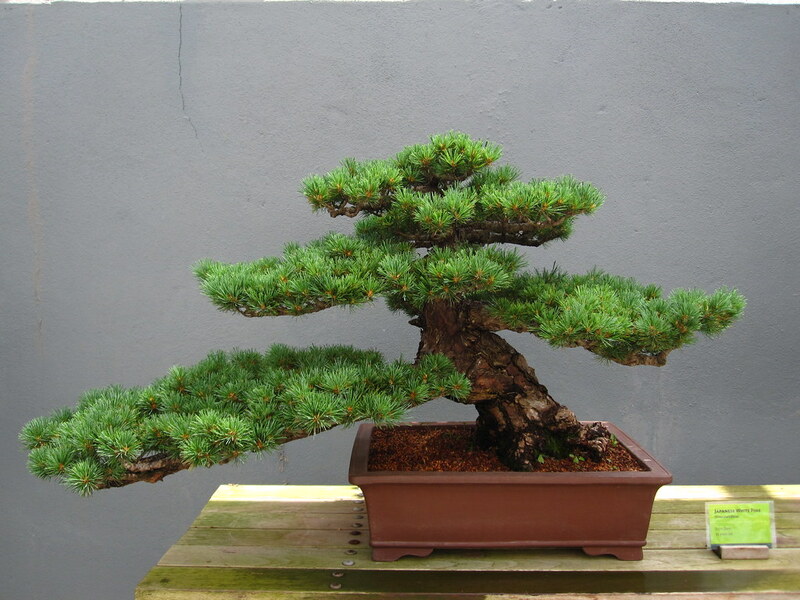 One Japanese white pine bonsai that is over 300 years old is generally on display during the winter. A successful bonsai is designed so that visitors not only see the tree form or architecture, but also get a sense of the surrounding environment in which the tree might be found in nature. "A bonsai that grows in a dense forest would look very different than one perched on the edge of a cliff," curator Julian Velasco points out. "And when I design each individual tree, a primary goal I have is to communicate the spirit of that tree—and in this way to hopefully evoke the imagery of a special, natural environment." David Castro is the curator of the C.V. Starr Bonsai Museum. He has more than 25 years’ experience working with bonsai and has studied with a number of world-renowned bonsai artists. He is actively involved in the local bonsai community as a member of Friends of Bonsai, the Bonsai Society of Greater New York, the Long Island Bonsai Society, and the Yama Ki Bonsai Society. Before joining the staff at BBG, David also volunteered at the Steinhardt Conservatory with former curators Julian Velasco and Robert Mahler. BBG’s bonsai collection began in 1925 with 32 potted trees—a gift from Ernest F. Coe. Today, the collection consists of approximately 350 temperate and tropical bonsai trained in classic modes such as the windswept, slanted trunk, rock clinging, and forest styles. Some of the trees in this world-class collection are well over a century old, with many still cultivated in their original containers. One of the most remarkable specimens is the Japanese white pine that was brought from a mountainside in Japan more than 90 years ago. There are also younger bonsai being trained into their iconic shapes. 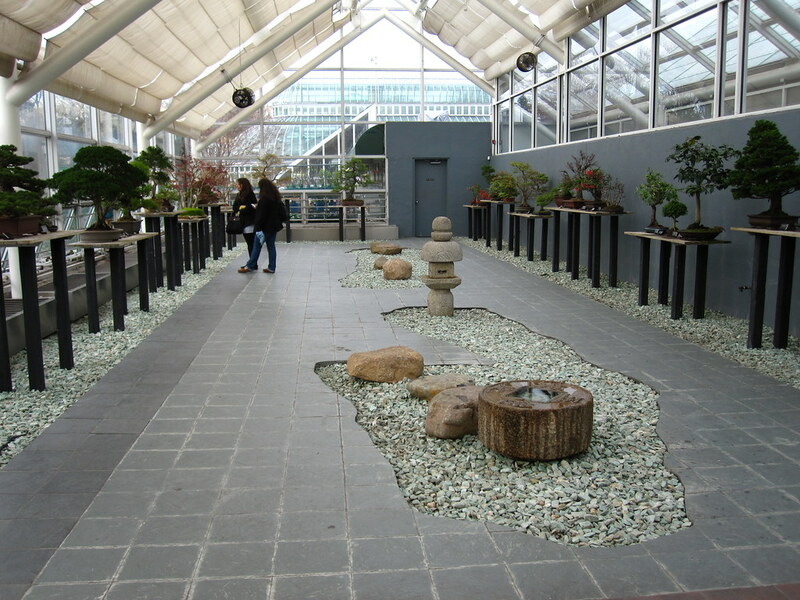 The Garden's first bonsai master was Frank Okamura, who came to New York City as a gardener after his release from a wartime internment camp in California. Over the years, Mr. Okamura contributed enormously to the spread of Japanese cultural influences in America, especially the spread of bonsai knowledge. He worked at Brooklyn Botanic Garden from 1947 until 1981, and soon after his arrival at BBG began his influential artistry with the Garden's few bonsai trees, eventually becoming responsible for their care as they became part of a large and important collection. Lilac in the slant style flowering in Spring. Photo by Medi Blum.